Our company is a name to reckon when it comes to buying Brazil Nuts. We source our quality Brazilian Nuts from one the leading producers of the globe. Brown Brazil Nuts have brown nut-like casings and are basically seeds. These nuts have a rich, creamy flavor owing to which they are widely used in numerous culinary preparations. 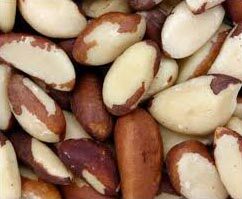 The Brazil Nuts are a rich source of vitamins and minerals. Our Organic Brazil Nuts are widely appreciated for freshness and long shelf life. We specialize in catering to the bulk requirements of Whole Brazil Nuts with utmost ease.